It's an amazing time to be alive. Case in point: August 5, 2012. On that day, dozens of robotic spacecraft were exploring both Earth and sky. 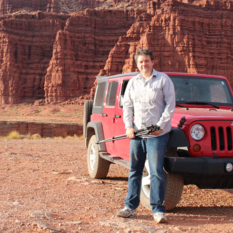 Some circled our own planet, sensors pointed downward in order to map the land, sea, and air. Others orbited facing outward so they could peer into deep space. Still others had left the Earth entirely, actually going to the places they were sent to explore. On August 5th more than a dozen ships were undertaking expeditions to Mercury, Venus, the Moon, Mars, comets and asteroids, Jupiter, and Saturn. Another probe was on its way to far, unmapped Pluto. Two others were even on the verge of venturing outside the Solar System entirely. A new Mars rover was about to land on the Red Planet, while two spacecraft already in orbit there were ready to relay the rover's signals to Earth and take pictures of its descent. Here's what some of those spacecraft saw on August 5, 2012. The skilled people running those various ships acquired all of these pictures on that day (or very close to it; for example, the Curiosity rover landed on Mars on August 6th universal time, though it was still the fifth at mission control in California). Several of these images come from the data archives and have never been widely published before. One last thing before we see the pictures. Here is what the spacecraft looked like at the very moment they were snapping those shots. I generated these using Eyes on the Solar System, a 3-D environment that realistically simulates almost any place, any spacecraft, and any point in time in the Solar System--all using actual planetary and spaceflight data from NASA. Six robotic spacecraft as they appeared on or close to August 5, 2012. 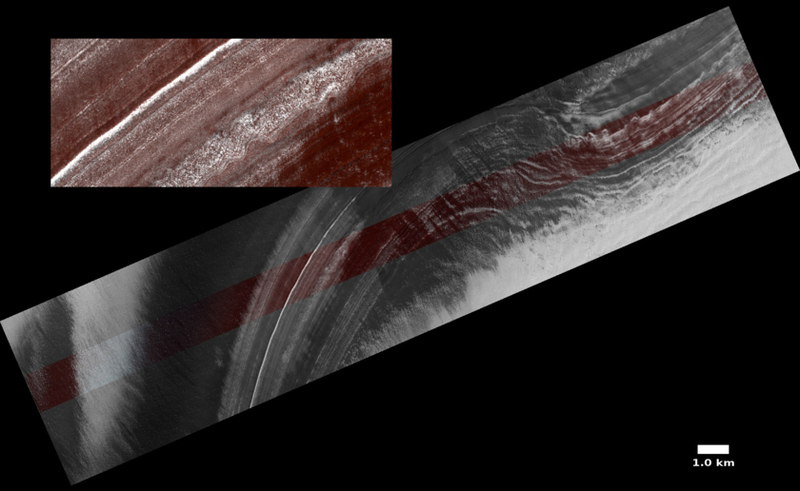 The images are rendered, with the exception of Venus Express, in NASA's "Eyes on the Solar System" simulator. From top to bottom: MESSENGER at Mercury, Venus Express, the Lunar Reconnaissance Orbiter at Earth's moon, the Mars Reconnaissance Orbiter, the spacecraft carrying the Curiosity rover just before it landed on Mars, Cassini at Saturn. First up is Mercury as seen by the MESSENGER mission, which has been orbiting the planet since 2011. The MESSENGER spacecraft captured this view of Mercury's terminator, the dividing line between night and day, near the planet's south pole on August 5, 2012. 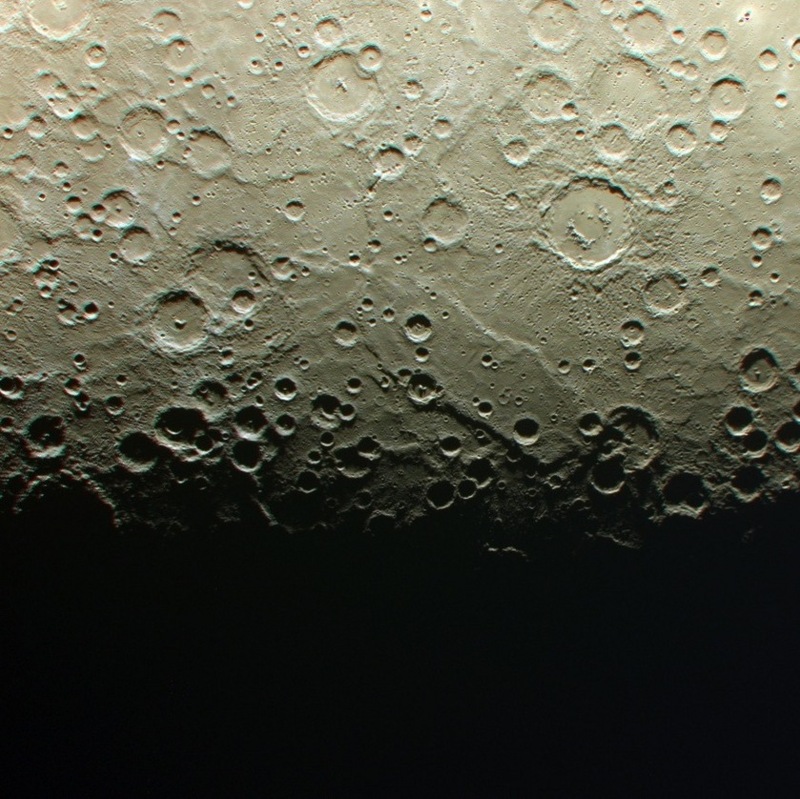 The double-ringed, unnamed crater at the center right is about 155 km (96 miles) across. 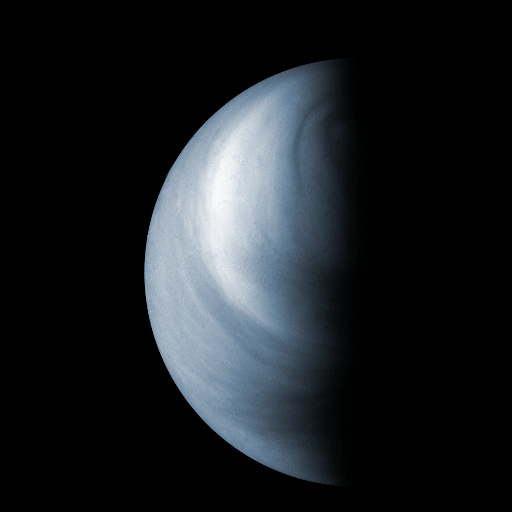 Next is Venus as observed by Venus Express, a European Space Agency mission. The Venus Express orbiter revealed details in the planet's swirling clouds by ultraviolet light on August 5, 2012. I've removed a great deal of digital noise from this image, and added the blue-ish color. The Lunar Reconnaissance Orbiter is mapping the moon in exquisite detail. At the top, a section of Hadley Rille on the Moon near the Apollo 15 landing site, as seen by the Lunar Reconnaissance Orbiter on August 5, 2012. The rille is about a kilometer-and-a-half wide. At the bottom, part of the same scene seen at nearly the full resolution of the orbiter's powerful camera, allowing us to see individual boulders. An unnamed crater on the near side of the Moon, seen at extremely high resolution by the Lunar Reconnaissance Orbiter on August 5, 2012. A similar mission, the Mars Reconnaissance Orbiter, is returning terabytes of striking photos of the Martian surface. The Mars Reconnaissance Orbiter mapped the details of complex layers in the north polar ice cap of Mars on August 5, 2012. The Mars Reconnaissance Orbiter acquired this high-resolution view of Coprates Chasma, a deep canyon in the Valles Marineris system, on August 5, 2012. The Mars Reconnaissance Orbiter is not limited to landscapes. Just after the above shots were taken, another mission, the Mars Science Laboratory, delivered its Curiosity rover to the surface by means of the audacious "Seven Minutes of Terror" landing sequence. 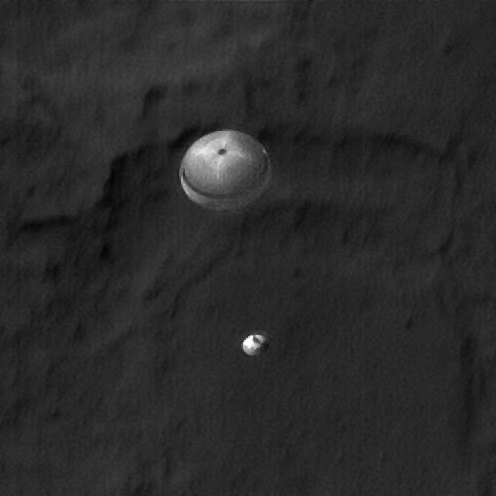 Amazingly, the orbiter team captured a photograph of the Curiosity spacecraft dangling from its parachute on the way down. 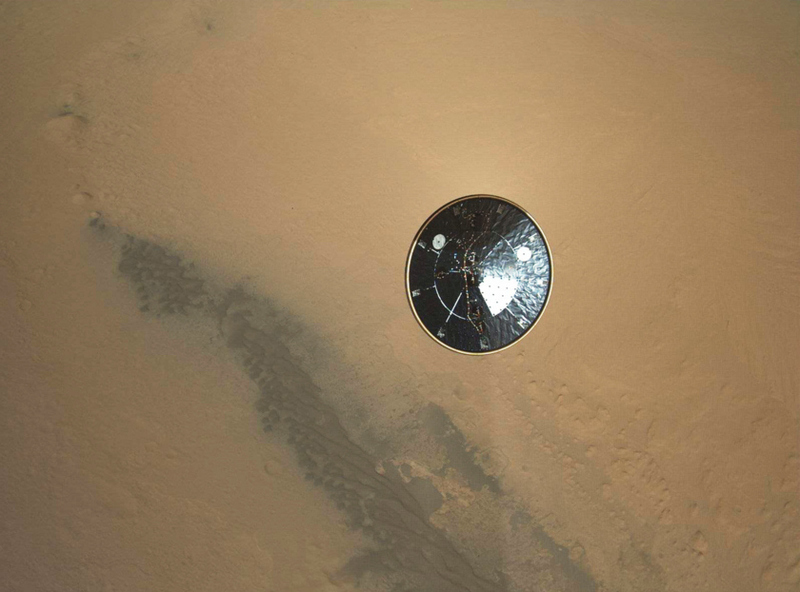 In the moment just after the heat shield separated from the descending spacecraft, a camera underneath the rover took an actual photograph of the shield dropping away. And finally, a scene from the outer Solar System. This image was actually taken a few days earlier, but was received on the ground just before that very busy August 5th. 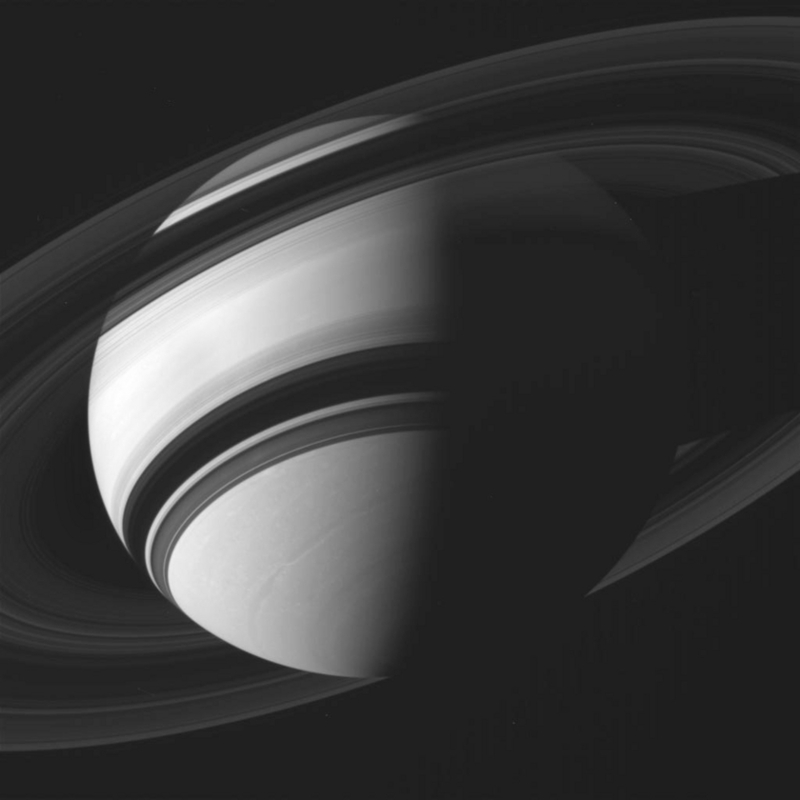 The incomparable Saturn, its translucent rings, and the shadows they cast across the planet, as seen by the robotic spacecraft Cassini. The image was taken on August 2, 2012, and received on Earth two days later. It boggles my mind that this series of images from across the deep sky was obtained over a few short days. We're living in a golden era of exploration. Still, I worry that my children will only know these worlds as places from history. For example, there is currently no mission in the serious planning stages to go back to Saturn, not even to investigate the geysers of the ice moon Enceladus, which we now know hides an underground ocean of liquid water that could harbor life. Planning and executing missions like that can take decades. We still need to campaign for the future, and joining the efforts of the Planetary Society is a great way to do it. That era of exploration is sorely missed by those who saw and learned as the explorers themselves did their jobs. Now in the era of budget woes once again a new generation will experience the same feelings if we don't win a common sensed budget fight. To stop exploration is equal to shutting yourself inside a windowless house and listen to news bites from yesteryear to teach your kids by. You might want to change the cover blurb for this post: "Dispatches from six different planets--all sent by robotic spacecraft on the same day." I count pics from four planets (Mercury, Venus, Mars, and Saturn) plus one moon (THE Moon, which I suppose could be elevated to the hallowed status of "planet", an honorary one at any rate, although I'd keep an weather eye out for the enforcers of the IAU :-) , but where was Number 6? Presumably the blurb meant to say something more like: ""Dispatches from around the solar system sent by six different robotic spacecraft on the same day." Nice pics, though.